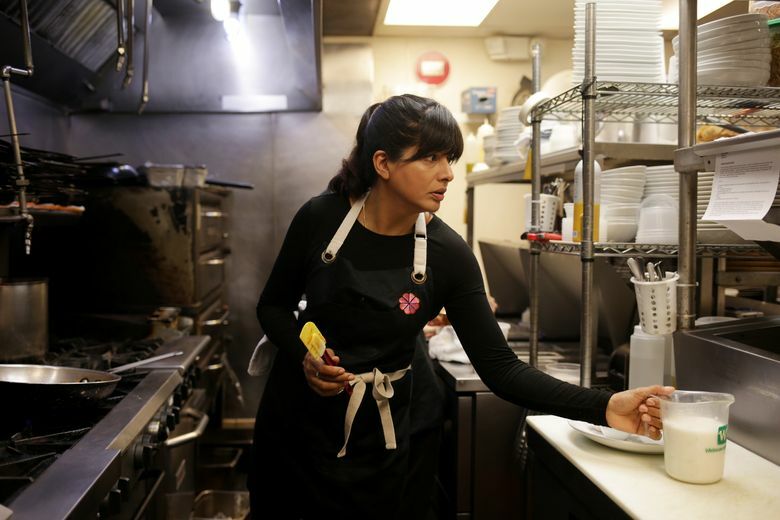 RALEIGH, N.C. — As a child growing up in Chandigarh, India, chef Cheetie Kumar knew that Diwali, the Hindu festival of lights, was approaching by the aromas emanating from the kitchen. She remembers catching the scent of whole milk simmered with freshly cracked cardamom and carrots in the air as she ran outside to play. 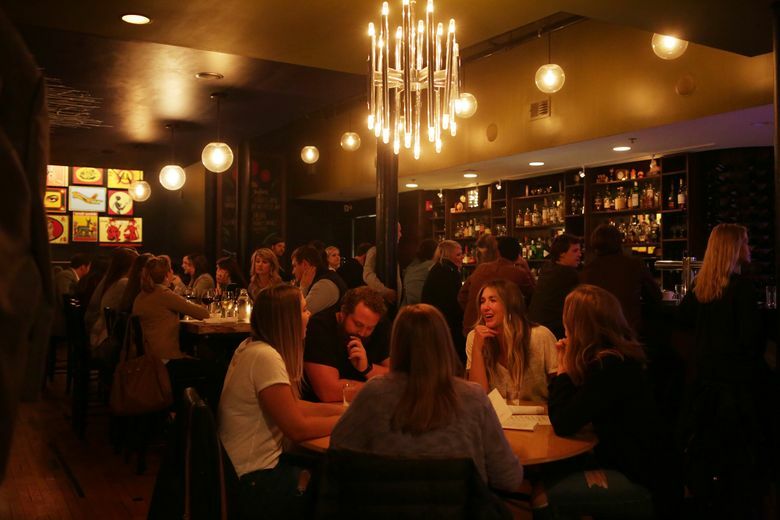 At Garland, the restaurant in downtown Raleigh she opened with her husband, Paul Siler, in 2013, Kumar makes Indian and pan-Asian food with a vibrant North Carolina slant. A self-taught cook, she thrives by uniting global flavors and erasing the geographic boundaries of ingredients and techniques. Her food is nuanced and edgy, and so is she: Kumar moonlights as the lead guitarist for a rock band, Birds of Avalon. “It’s a creative outlet as well as a source of creativity,” she said. Her path to professional kitchens wasn’t a linear one. In the early 1980s, when she was 8, she and her family immigrated to New York and lived on Gun Hill Road in the Bronx. There, her relationship with cooking developed more from duty than delight. Her parents — each has a Ph.D. in biochemistry — worked full time in immunology research. Despite the demanding schedule, Kumar’s mother prepared Punjab-style homemade meals virtually every weeknight. “We went out for dinner maybe four times a year,” Kumar said. Her mother’s dinners always had at least one vegetable, like the fragrant cauliflower-and-potato dish aloo gobi, and some kind of dal finished with tomato tarka alongside basmati rice, chapati, yogurt and mango pickle. 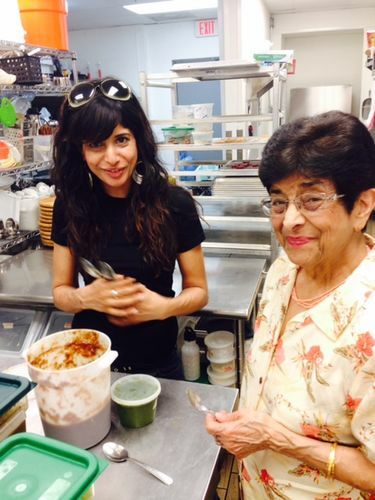 “Helping my mom make dinner was the chore I loved to hate,” Kumar said. 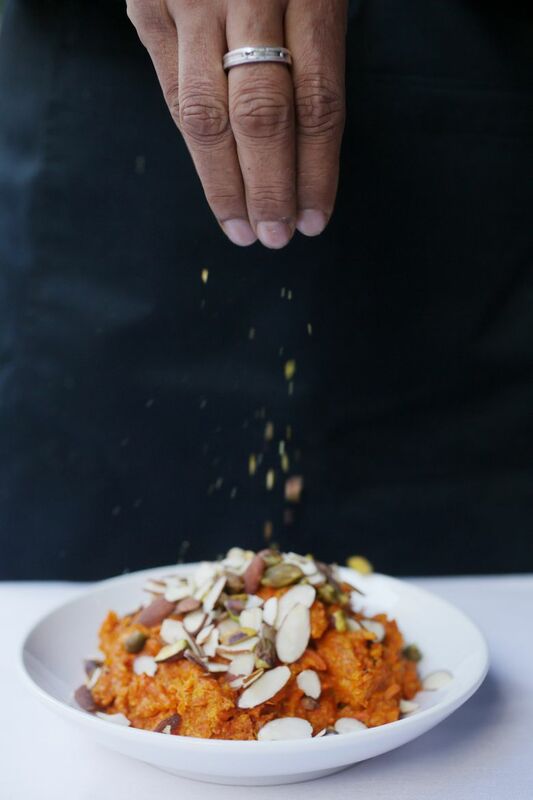 Gajak, a sesame seed-and-peanut brittle, and gajar halwa, the pudding infused with carrot and cardamom that she recalled from her childhood, are Kumar’s favorites. There is a mystery in the making of gajak that still has her rapt, decades later: The flavors don’t truly shine until the brittle has been allowed to set for about 20 or 30 minutes. Kumar harnesses these nostalgic Indian dishes and re-imagines them to fit her locale. For a recent dinner at the James Beard House in New York, Kumar served a riff on gajar halwa with yogurt custard and carrot sherbet. 1. In a wide, heavy-bottomed skillet (don’t use nonstick) over medium heat, melt ghee, then add carrots. Stir until carrots are well coated with ghee. Reduce heat to medium-low and cook until carrots are somewhat dry and caramelized, about 20 to 25 minutes, stirring often so they don’t scorch. 2. Once the carrots are nice and dried out, stir in the milk and cardamom and simmer, stirring every few minutes, until the milk has reduced and is almost fully absorbed, about 20 to 25 minutes. 3. Sprinkle in the sugar, mix well to combine, and cook 5 to 8 more minutes until the mixture is almost dry and jammy. Serve warm or cold with toasted nuts sprinkled over the top. 1. Grease the back of a sheet pan and a rolling pin with ghee and set aside. 2. Heat a wide, heavy-bottomed skillet over medium-low heat for 1 to 2 minutes. Add the ghee, jaggery and 1 tablespoon water and stir well to combine. Cook, stirring occasionally, until the caramel starts to brown and reaches 300 degrees on an instant-read or candy thermometer, about 8 to 10 minutes; you’re looking for the “hard crack” stage or the point where a drop of the caramel in cold water hardens into a crunchy toffee. Don’t rush this by turning the heat up too high: The caramel will burn in an instant. 3. As soon as you reach 300 degrees, remove pan from the heat and quickly fold in the peanuts (and any fine powder from chopping), both types of sesame seeds, the salt and cardamom, if using, and stir until well combined. Immediately turn the mass out onto the back of the sheet pan and roll to an even 1/4-inch thickness, keeping the sides as straight as possible. 4. Let set until cool enough to handle but still pliable, about 3 to 4 minutes, and slide onto a cutting board. Cut into 2-by-2-inch pieces. (Alternatively, when fully cool, the brittle can be broken into uneven, rustic chunks.) Let set completely until hard before serving. The flavors start to come together after it’s been setting for 30 minutes, but it’s best after 45 minutes, or even 1 hour. Note: Jaggery adds savory undertones that you can’t get from other sugars. Find it online, at Indian grocery stores or some larger Asian supermarkets (look for blocks or balls, rather than granulated jaggery).